When digitizing the samples, the voltage at each sample time is converted to a number. 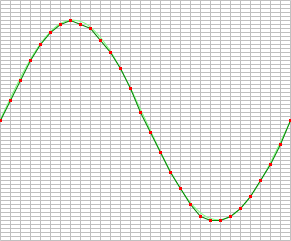 This is done by comparing the voltage with a number of levels. The resulting number is the number of the highest level that's still lower than the voltage. The number of levels is determined by the resolution. 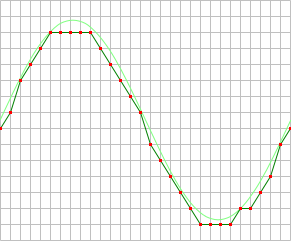 The higher the resolution, the more levels are available and the more accurate the input signal can be reconstructed. 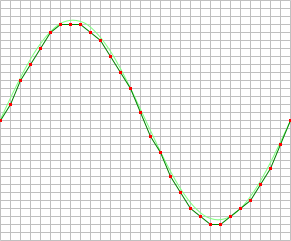 In the image below, the same signal is digitized, using three different amounts of levels: 16, 32 and 64. The used resolutions in the previous image are respectively: 4 bits, 5 bits and 6 bits.